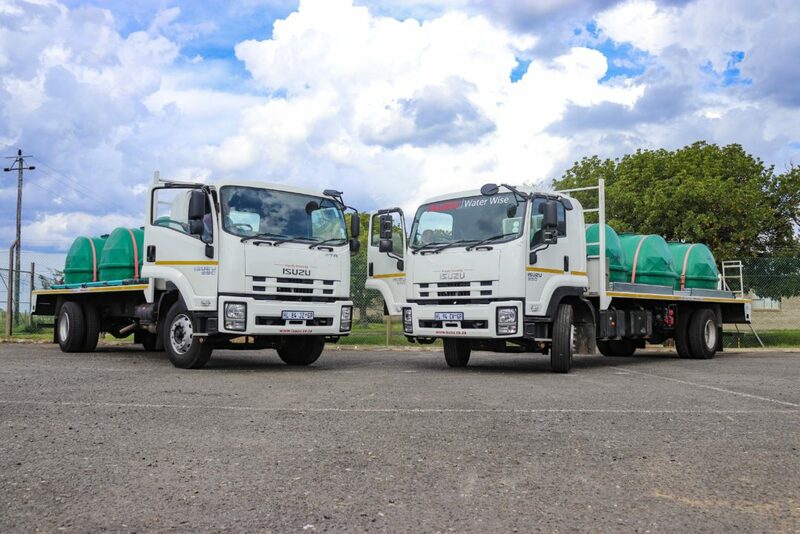 The Gift of the Givers were given a helping hand themselves on Tuesday 12 March, when Isuzu Motors South Africa donated two water trucks to the organisation for their use in managing the water shortage in Makhanda (Grahamstown). The two trucks will be supplied by the newly-sunk boreholes that the Gift of the Givers have been drilling over the past two weeks, and will distribute water to a number of different water tanks stationed at various different locations around the town. The locations of these tanks will be finalised soon. Once the tanks are in place, members of the community will be able to use the tanks for free 24 hours a day, seven days a week. 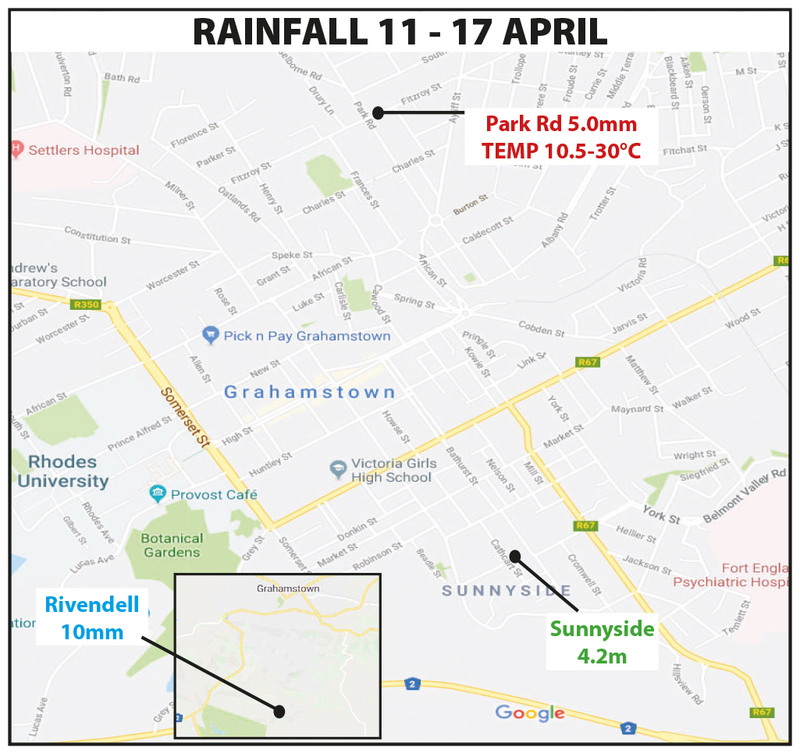 Grocott’s Mail will publish the locations of these water tanks once they have been finalised. Ali Sablay, the Western Cape Project Manager for the Gift of the Givers, was extremely grateful for the donation from Isuzu. 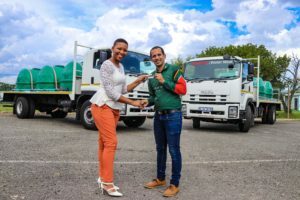 “This will be amazing, in the way that from our boreholes we will be able to pump the water into these tankers, and we will have set up JoJo tanks in different parts of Makhanda, so these tankers will pump the water into these tanks,” said Sablay. “We heard about the Gift of the Givers, got in contact with them, and found out what it is that they are doing and how can we help out where we can in the region that we operate, so this was one great opportunity to do that,” said Nyembezi. 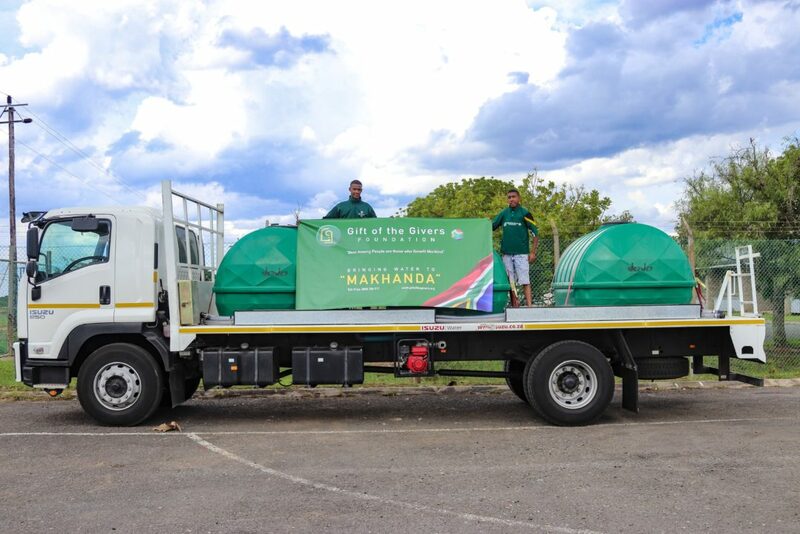 The tanks were donated to the Gift of the Givers as a way to continue their work not only in Makhanda, but in the rest of the province and event the country. 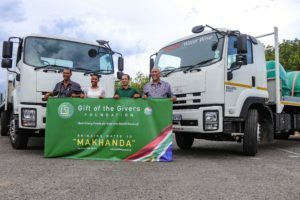 When the Givers eventually leave Makhanda, after they have done all that they can, the tankers will remain in the town for up to six months, according to Sablay, after which the situation will be reassessed, and the tankers will be moved to another area that needs their service. 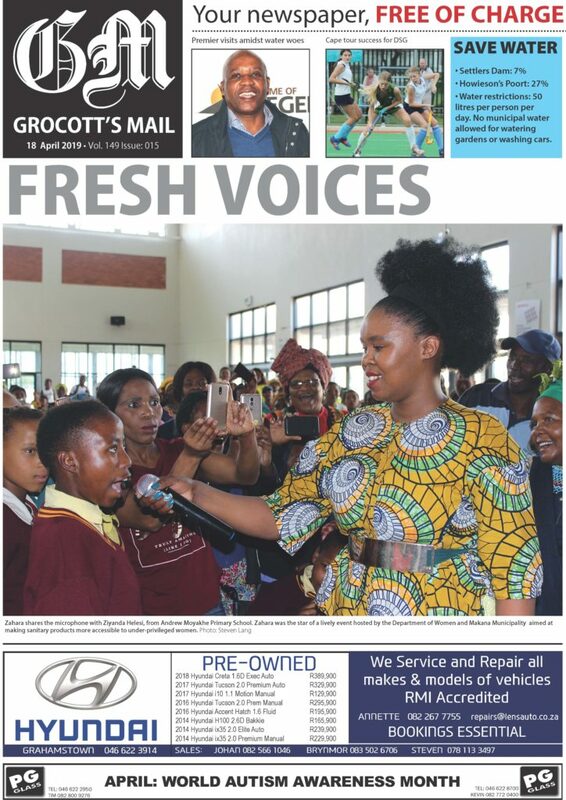 The Gift of the Givers also travelled to Bolotwa in the Eastern Cape on Wednesday 13 March to provide 265 farmers with animal feed.